If you only have 3 days in Vancouver and you want to fit everything in then this itinerary is for you! Vancouver on the west coast of Canada consistently appears on lists naming the world’s most liveable cities. Surrounded by mountains and water the city is gaining record numbers of visitors each year attracted to its wonderful parks, beaches, gardens, markets, food and cosmopolitan atmosphere. Vancouver is a city offering a gateway to adventure whether by bicycle at Stanley Park, on skis in nearby Whistler or jumping on one of the many whale watching cruises available. The city offers much to the visitor with a myriad of things to do and see in three days in Vancouver. With a little planning it is possible to fit the top things to do in Vancouver into even a short stay. Relevant website links and tips can be found at the end of the article. What does a 3 day itinerary look like? Where should I stay in Vancouver? Are there tours that I can take in Vancouver? WHAT CAN YOU DO AND SEE IN 3 DAYS IN VANCOUVER? This is our itinerary for things to see in Vancouver in 3 days. This itinerary includes many of the main attractions for visitors to see and do in Vancouver including Gastown, Granville Island Market and Stanley Park. A showcase for Canadian produce the Granville Island Public Market sells some of the best fresh food available including fruit, vegetables, cheese, honey, seafood, olives and numerous artisan breads. The Granville Farmer’s Market is every Thursday, 10 am to 3 pm, from early June until late September. The kids market is open every day from 10 am to 6 pm has over 25 shops featuring toys, clothing and every possible item you could need if you have children including an adventure zone to keep them occupied! There are many boutiques and speciality shops on Granville Island selling items ranging from clothing to pottery to indigenous art. Take a few hours to wander the shops and perhaps indulge in a few purchases! Granville Island is home to numerous galleries showcasing local artists work including pottery, glass and ceramics. A number of theatre companies are based on the island. There are lots of great options whether you want a snack or something more substantial. Choose from the numerous delis, bistros, bars and restaurants the choice is yours! If you have between $3-5000 dollars a month why not rent one of the amazing houses in the floating village. They certainly are quite a contrast to the high rises of downtown Vancouver! Granville Island is actually not an island now but rather a peninsula located across False Creek from Downtown Vancouver. The island was created in 1916 using material dredged from False Creek. What once was simply a mud flat became home to warehouses, mills, factories and shops that serviced local industries. In the 1950s the Granville Island back-channel was filed in and the island joined the mainland. HOW CAN I GET TO GRANVILLE ISLAND? There are numerous options including on foot, by bus, by bike and by car but my absolute favourite way (and the most fun) is to cross the creek by boat. I would recommend traveling to the Yaletown-Roundhouse Metro station as shown above and walking to the Hornby Street aquabus terminal. Taking the aquabus is fun and a great way to arrive on the island! The aquabus leaves every 5 minutes from the Hornby Street dock from 6:45am – 9:30pm every day. Tickets cost $6 return and $3.75 one way. Alternatively head to the False Creek Ferry which cost $3.50 for a single or $5.50 return. Pay with cash on the boats, or your credit/debit card at the Granville Island dock. Boats run every 5 minutes from 7 am until 9 pm. The trip takes 3 minutes. 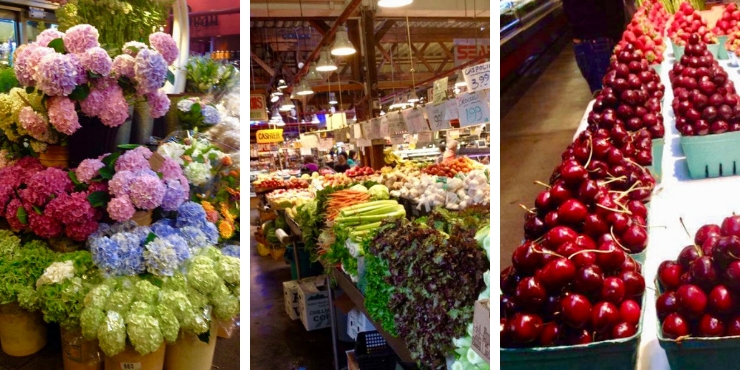 HOW MUCH TIME DO YOU NEED TO SEE GRANVILLE ISLAND? 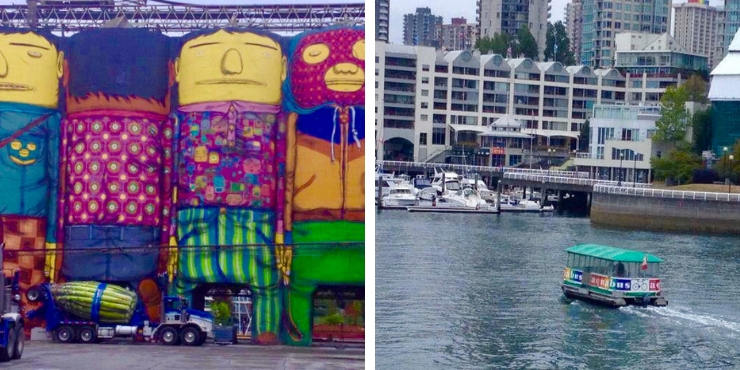 I would expect to spend a few hours on Granville Island to explore the markets and shops. Add in an extra hour for a meal too – there are plenty of great places to eat. 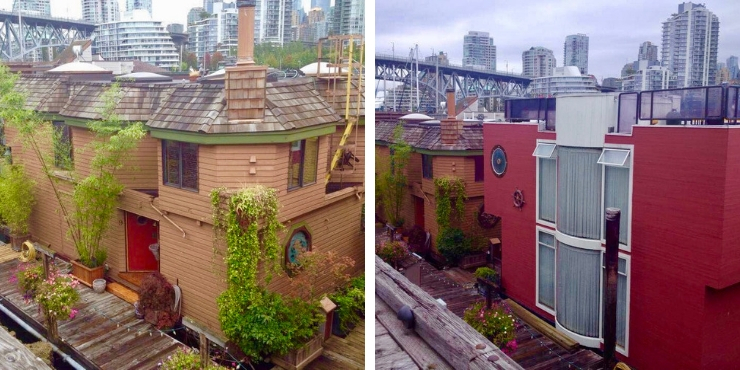 CAN I STAY ON GRANVILLE ISLAND? Yes there is one hotel on the island called the Granville Island Hotel. This is a boutique hotel offering guests a perfect get-a-way spot for families, and couples looking for an alternative to downtown Vancouver and and a once in a lifetime experience. Gastown is named after Gassy Jack Deighton a riverboat captain who built Vancouver’s first significant structure (a bar) in 1867. He was nicknamed gassy as apparently he talked quite a lot. 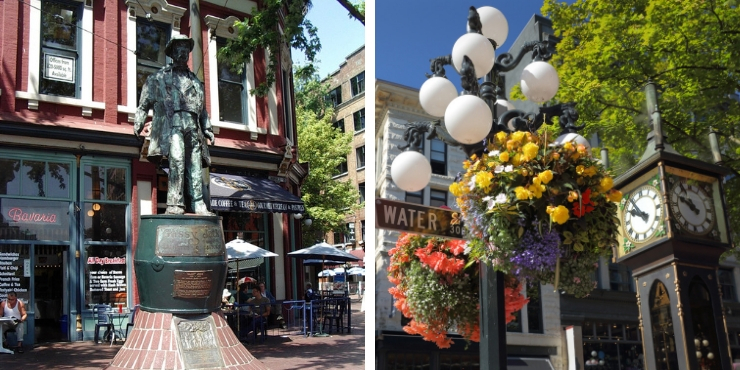 Characterised by cobblestone lined streets adorned with ornate street lamps this historic (and oldest) district of Vancouver is a must on any itinerary. Have your camera at the ready for the steam clock on the corner of Water and Cambie streets. A perfect photo opportunity for every tourist in Vancouver including us! It gives a steamy rendition of the Westminister chimes every 15 minutes. Take a photo of the man who started it all – Jack Deighton – at 1 Water Street. His statue stands in near the location of the Deighton House Hotel which was one of the earliest buildings in the area. Unfortunately the hotel burned down in 1886 11 years after the death of Jack at the age of only 44. Situated at 555 West Hastings Street the Vancouver Lookout is a 40 second ride in a glass elevator to an observation deck 168 metres above Vancouver. Tickets cost $18.25 for adults, $15.25 for seniors, $13.25 for youths aged 6-12 and $9.50 for children aged 6 -12. Children % and under are free with a fee paying adult. The lookout is open from 9 am – 9 pm in winter and 8>30 am – 10.30 pm in summer. If you are visiting Vancouver during the warmer months enjoy a drink and a meal at one of the many restaurants/wine bars or pubs in the area. If you are in Gastown it is only a short stroll to Vancouver’s Chinatown. This is the largest Chinatown in Canada and one of the largest in North America. 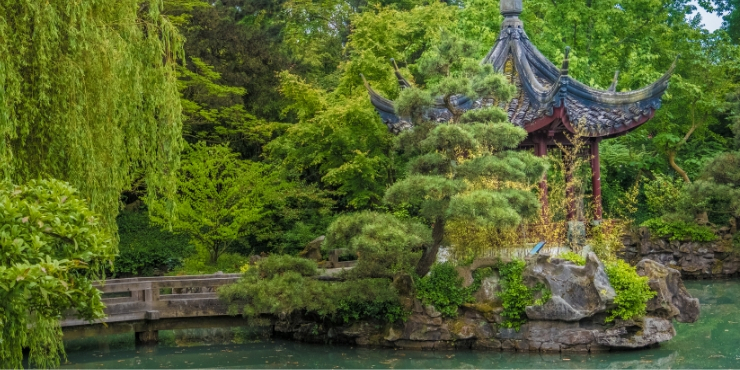 Fill up on a great selection of Asian food or head to the Dr Sun Yat-Sen Classical Chinese Garden. 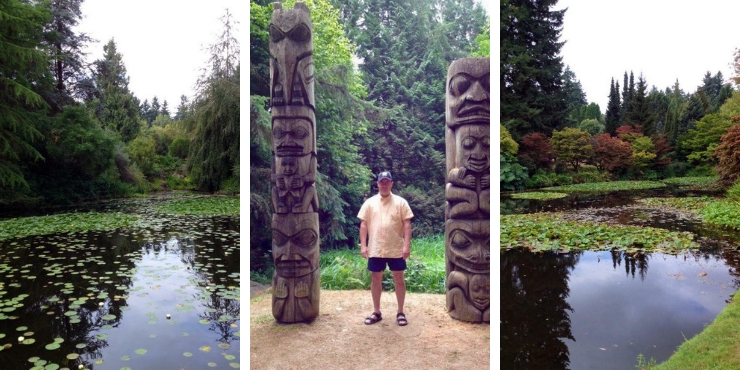 VanDusen Botanical garden covers 55-acres in the heart of Vancouver. With 7,500 plants from all around the world, lakes, sculptures and a beautiful waterfall this is an ideal location to spot some of Canada’s wildlife including hummingbirds, eagles, herons, turtles and ducks. Regardless of the time of year there is always something to see in the gardens. The bloom calendar available on the website indicates which flowers are blooming throughout the year. One of only 6 Elizabethan hedge mazes in North America it is made up of over 3,000 pyramidal cedars. A must-visit when you are at the gardens! Admission fees vary depending on the time of year you visit the gardens. From April 1 – Sept 30 Adults $11.25, Senior 65+ $8.45, Youth 13-18 $8.45, Child 5-12 $5.50 and from Oct 1 – March 31 Adults $8.00 Senior $5.50, Youth $5.50, Child $4.25. Children 4 and under are free all year round. Opening hours vary throughout the year – website details are below. 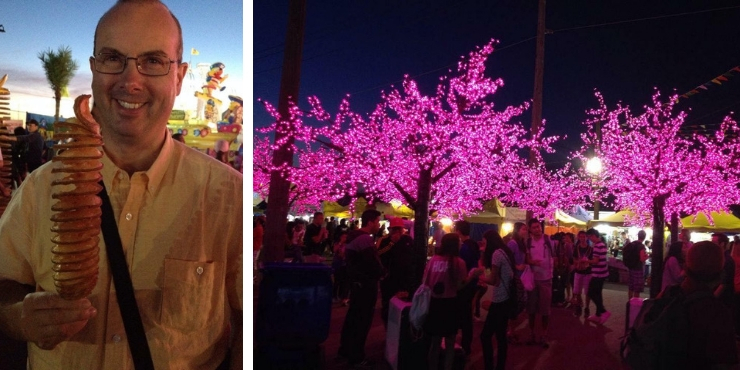 The International Summer Night Market in Richmond is a more unusual addition to an itinerary for Vancouver but I had seen it advertised and really thought it was worth a visit. We were also staying at a hotel very close by to the market so we made a point of going along to it. The market is an annual event and experiences over 30,0000 visits every weekend. It was an enjoyable experience and very busy – there were loads of different foods to try and it was just lovely walking around on a warm summer’s evening experiencing something like this! The market will be open from May 10th – October 14th 2019. Website details are at the end of the post. Stanley Park should absolutely be on any itinerary for Vancouver particularly if you are visiting the city in the summer. We had a thoroughly enjoyable day there and it is a very popular spot for visitors and locals alike. 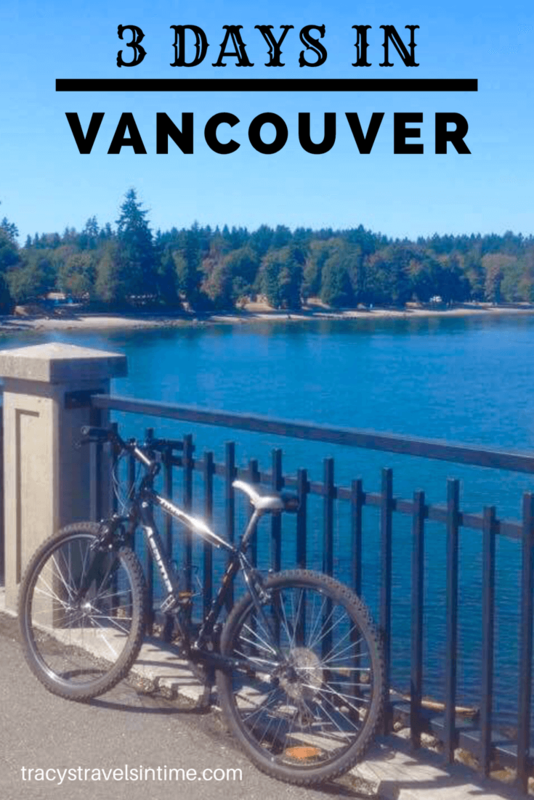 If there is one thing you have to do in Vancouver it is cycle around Stanley Park’s famous Seawall. The Seawall is a paved route that loops around the park. Completed in 1917 the wall was built to prevent erosion. Today it is a popular path for cyclists, walkers, rollerbladers and joggers. 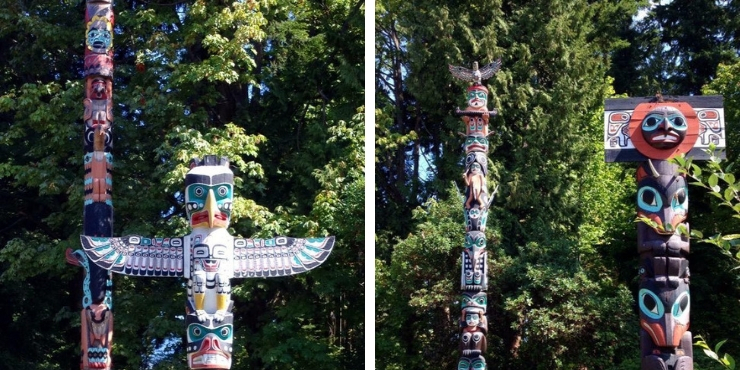 There are 9 totem poles to see at Brockton Point. 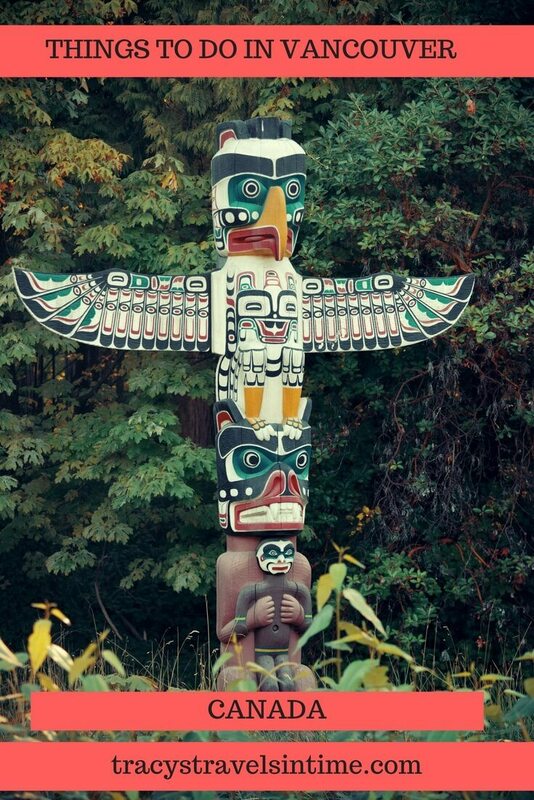 Originally brought from Vancouver Island and Queen Charlotte Islands in the 1920s and 30’s these were placed in museums and replaced by the totem poles seen today. 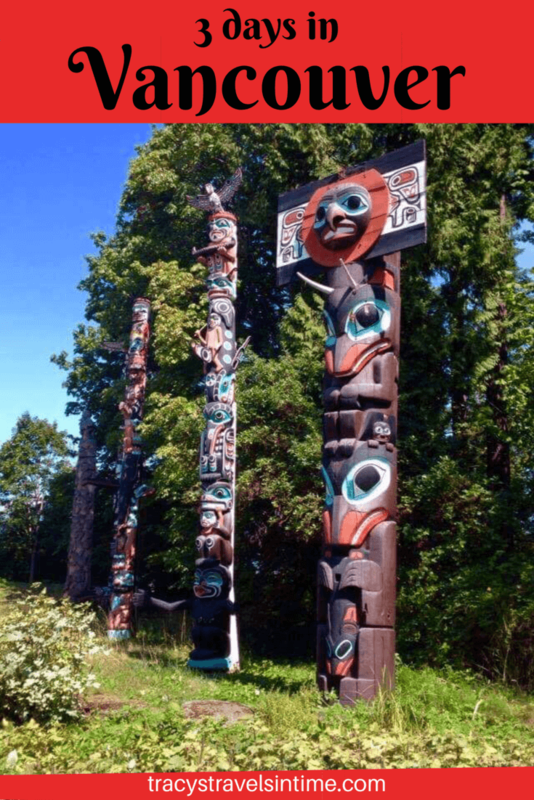 The most recent totem pole was carved by Robert Yelton of the Squamish Nation and added to the collection in 2009. Wildlife found in the park includes bald eagles, beavers, bats, harbour seals, raccoons, squirrels and even coyotes. 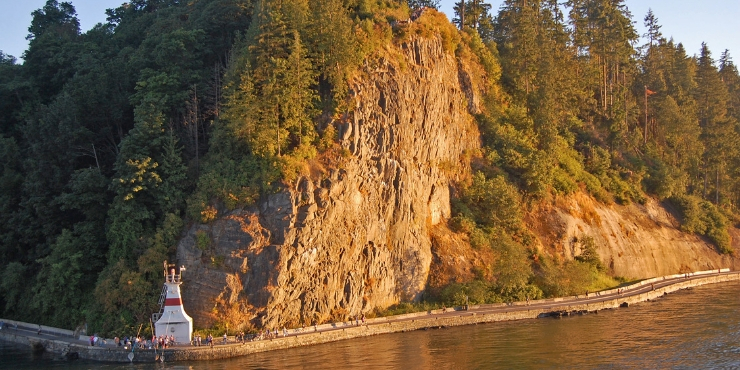 Look out for Siwash Rock a 32 million-year-old sea stack which is located just off the seawall between Third Beach and Lions Gate Bridge. According to Squamish first nations legend a man was transformed into the rock. 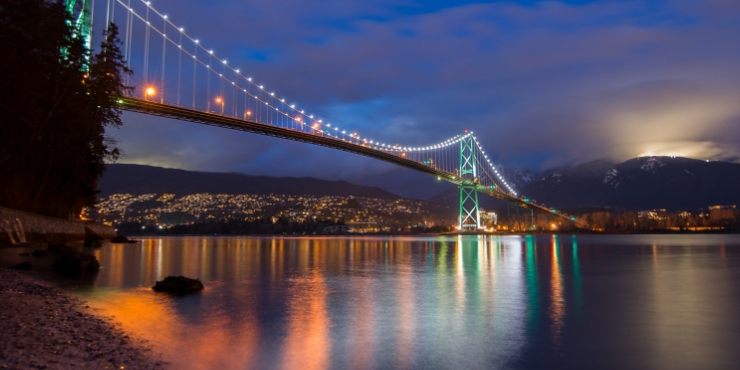 Often seen in photographs as a symbol of Vancouver don’t miss your chance to for a selfie with the famous bridge which connects the city of Vancouver with the district of North Vancouver. Opened in 1938 the suspension bridge is nearly 2 miles long and carries 3 lanes of traffic in and out of the city. Play tennis on the Stanely Park Tennis courts. TOP TIP – Hire your bikes from just outside the park. We rented from Spokes Bicycle Rentals which are right next to the park and has been hiring bicycles since 1938. Take a credit card with you as you will need this to secure the bicycle. For the first two nights we stayed near the airport in Richmond. We flew in from Europe and had some serious jet lag to content with so wanted to have an easy base until we acclimatised. On the third day we moved into the city. If you are flying in from Europe I would highly recommend staying near the airport for a night or two if you need time to adjust to the change in times. The first hotel we stayed at was the ABERCORN INN VANCOUVER AIRPORT. It was a great hotel as it was near to the airport for us to get to and just sleep on arrival but also really close to the Bridgeport Station for transport into the city. It is also close to the Summer Night Market in Richmond so a great place to stay if you want to go there too! 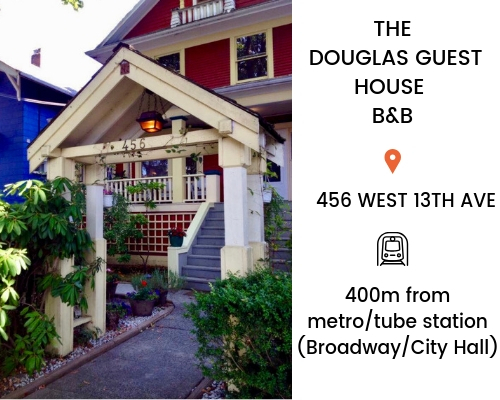 As I mentioned we moved closer to the city on the third day and to the DOUGLAS HOUSE BED AND BREAKFAST. This is a short walk from Broadway-City Hall subway station and suited us perfectly for a short stay. The room was comfortable and we found the staff very welcoming. The location was good for the VanDusen Botanical Garden too! There are a huge array of hotels to suit every traveller and every budget in Vancouver. If my recommendations aren’t quite what you are looking for please check out my link and book your hotel in Vancouver! We travelled around Vancouver by bus, bicycle, skytrain and aquabus. We found public transit to be an excellent way to move around the city. SkyTrain is the oldest and one of the longest automated driverless light rapid transit systems in the world. The Expo and Millennium SkyTrain Lines connect downtown Vancouver with the cities of Burnaby, New Westminster and Surrey. The Canada Line connects downtown Vancouver to the Vancouver International Airport (YVR) and the city of Richmond. Buses, trolleys and Community Shuttles link to various hubs, exchanges, SkyTrain stations and tourist destinations throughout Metro Vancouver. The Aquabus provides frequent, daily passenger ferry service to all major destinations in False Creek. City of Vancouver have an excellent website all about public transit which you can access by clicking on this link! 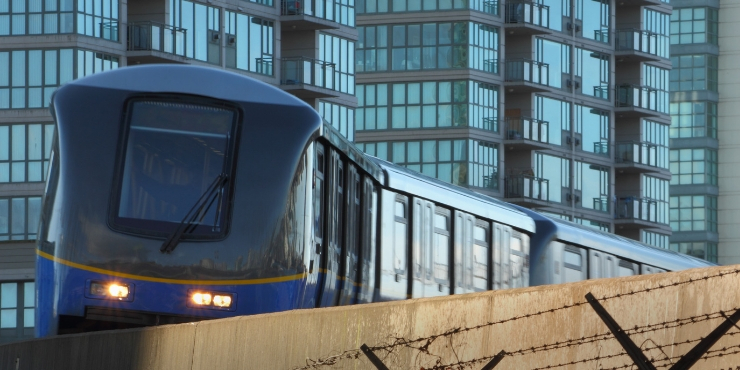 TOP TIP – Buy day passes for the Skytrain which give unlimited travel. I would highly recommend doing this as it is cost effective and easier if you are travelling around the city. If you are pushed for time these are some of the best tours from Get Your Guide you can take during your time in Vancouver. Discover Vancouver and adjacent North Shore on a fully-narrated 7-hour minicoach tour with an award-winning guide. Go to the incredible Capilano Suspension Bridge Park, discover the heart-stopping Cliffwalk, learn the life cycle of the salmon and more. Sample Vancouver’s best restaurants on this guided culinary walking tour. Discover historic Gastown and enjoy local craft beers, wines, and cocktails, all paired with a diverse range of dishes. 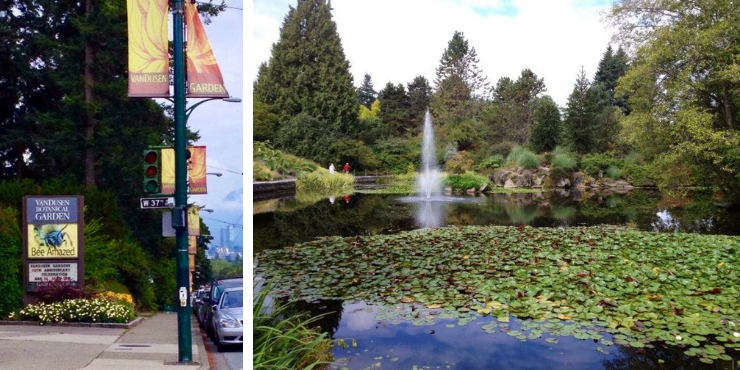 Discover Vancouver on this smartphone guided walking tour. Your amazing scavenger hunt adventure begins in the heart of the city at Hotel Vancouver and takes you on a journey through the rich history of this great northwest city. If you are planning to visit the Rockies you may be interested in these great hikes to do in Banff National Park or if you are visiting with kids check out these 40 fun things to do in Vancouver! If you are heading to Canada soon I have some great posts to check out to help with your planning. At the moment the focus is on Vancouver and Vancouver Island but keep an eye out for new posts coming soon! 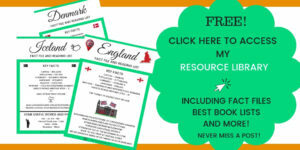 Why not subscribe below to receive tips, updates and more from me in my monthly newsletter? No spam just great information! 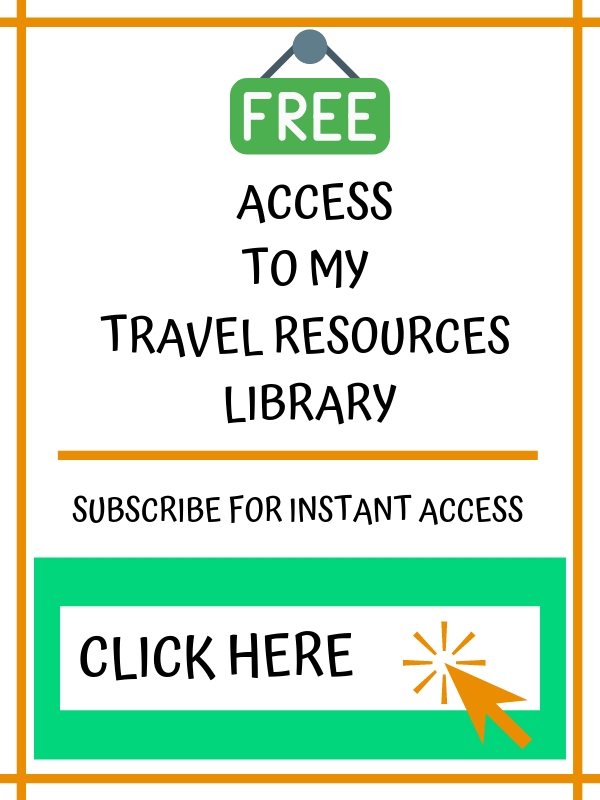 Subscribes also gain free access to my resource library which includes book lists and fact files and other useful resources to help plan your trip! Visiting Vancouver in summer? Check out my guide of all the great things the city has to offer during the warmer months. 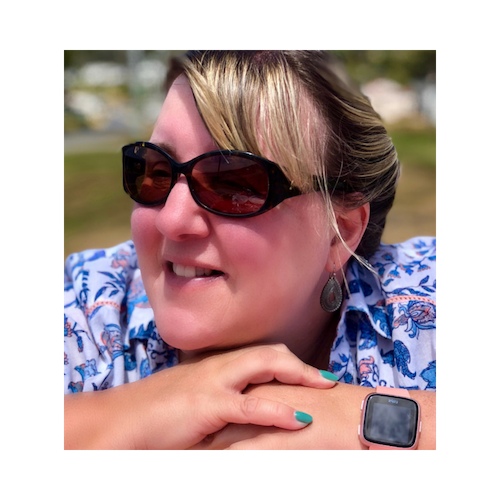 If you are heading over to Vancouver Island I have a number of posts which you may enjoy including a guide to the beautiful Butchart Gardens, 10 things to do in Victoria and an insider guide to the island itself written by a friend who has lived there for the past 15 years. Enjoy reading about the places you are visiting then check out my selection of the best non-fiction books about Canada. Things to do on Vancouver Island - an insider's guide! I think I would spend the whole of Day 1 recovering from Jet lag. Those houses at the floating village are amazing!! How nice it must be to stay in one. The nickname Gassy is hilarious! It was pretty hectic but we had a fab time – those floating houses are pretty awesome! 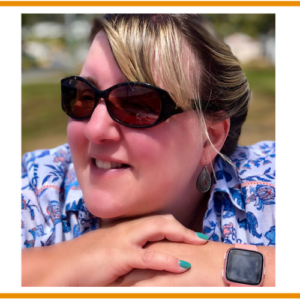 Thanks Cathy – I would love to do a road (or rail trip) around Canada it is a stunningly beautiful country with lovely people. Granville Island was great and getting the water taxi there so much fun! Its such a great city I would keep going back! Vancouver Island I think for my daughter though she loved Vancouver too. It is a fantastic place to visit and I think live in too! There is another post on my site by my friend who lives in Victoria on Vancouver Island if you want to see pictures of there. You managed to do so much, despite the jet lag! Impressive. I have only been to Vancouver once, when I was a teen, and so didn’t really make the most of it. Teenagers, eh. I’d love to go back, I thought it was fantastic. Thanks Rachel. We just ignore the jet lag – then when we get back from our travels we let it all catch up!! Vancouver is a fab city – we really love Canada so want to spend more time exploring (hopefully by train) in the future! Thank-you! It is a wonderful city in one of my favourite countries! Definitely a must-visit! Its a great city we loved it – we will definitely be back! Totally agree Ruth – we loved it and Granville Market was amazing – we ate a lot! Lovely destination and trip – seems like you got to have lots of different experiences there! We totally loved it – its a fab city! 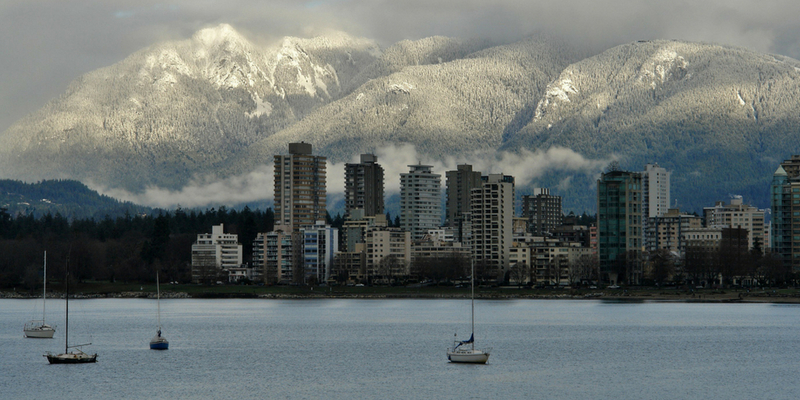 Yes it was lovely weather when we were there – we really loved Vancouver! SO many things here look good. you’ve moved Vancouver higher on my list of places to get to — and it was already up there. The night market looks incredibly fun. What is the spiraled thing you are eating? Its a fantastic city!It was a potato spiral – flavoured salt and vinegar. I could have eaten 20!!! 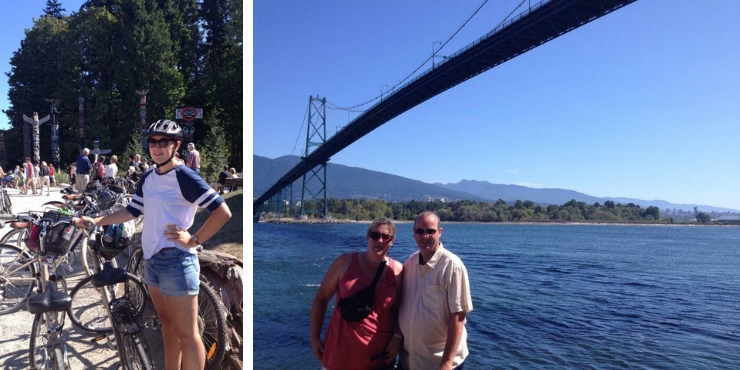 My family really enjoyed our short stay in Vancouver, especially visiting Granville Island and Stanley Park. I don’t remember those floating houses. What a sight that must be. It also took me a bit to figure out that truck in your photo. It’s very clever. Its a fab city isn’t it – one i could live in I think! Again this is a really helpful (and timely) post! My husband is planning to visit Vancouver in April with friends (to see the ex-Smiths frontman Morrissey!) I will forward this informative article on to him. It will be very useful when it comes to booking hotels…!